Update - it's been extended - lots of time to pay her a visit! 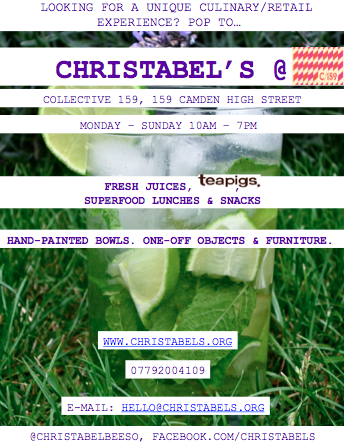 "January will see 'CHRISTABEL'S' on Camden High Street - in the funky new Camden collective pop-up shop. 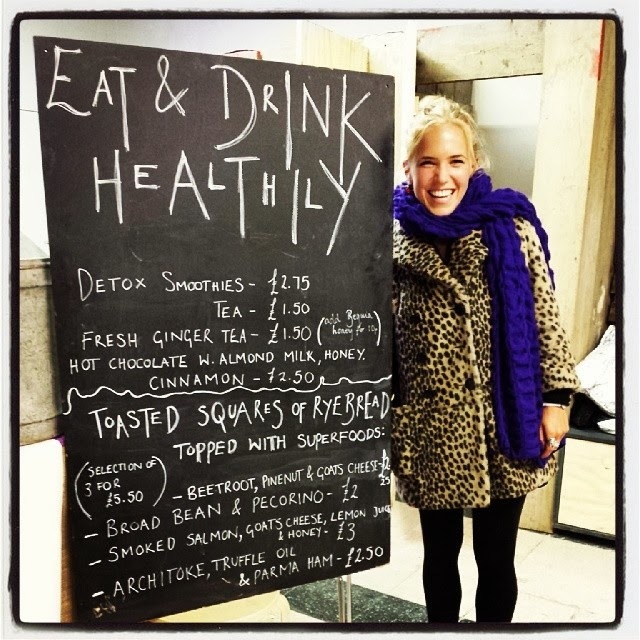 This will feature detox smoothies, Teapigs teas, superfood finger food - and COCKTAILS from 5pm-7pm. Whilst enjoying a 'CHRISTABEL'S' creation, you can enjoy a special retail experience - 'CHRISTABEL'S' crockery will be displayed alongside a range of unique objects, and one-off pieces of furniture - so you can buy the chairs/table you are sitting on, and the bowls you are eating out of! Dont miss out on this unique culinary / cocktail / retail experience and pop on down."